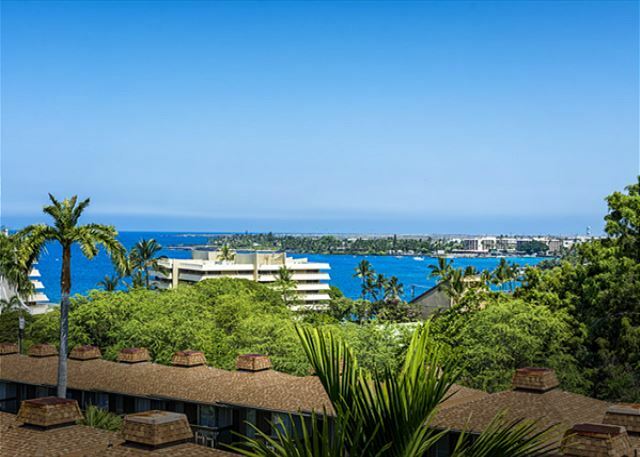 Kona Pacific B511 High Flr, AC, Elevators, Walk to Town, Oceanview! Welcome to beautiful Unit#B-511!! High floor, views of ocean & mountain!! 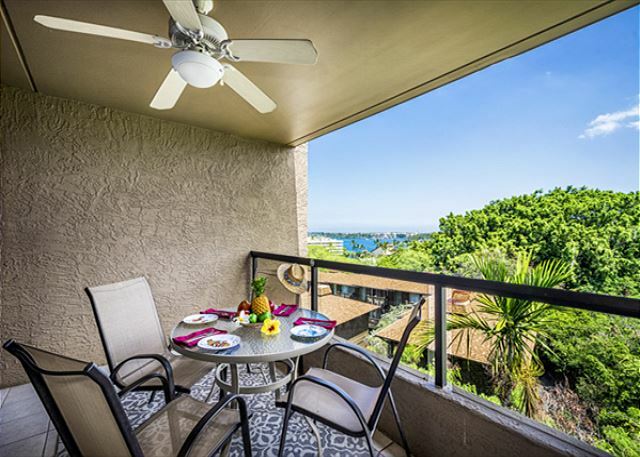 Ocean views from your Lanai!! 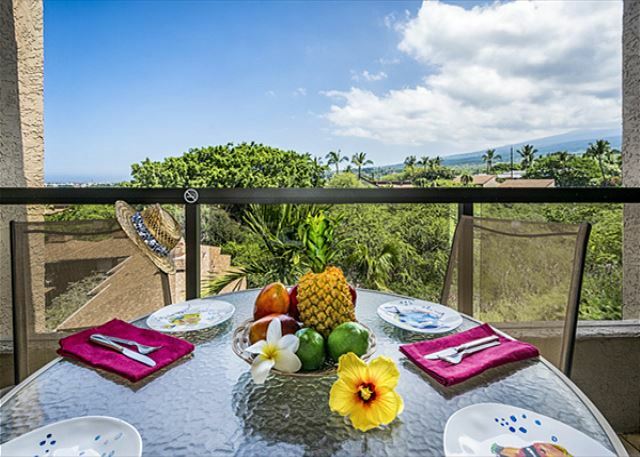 Kona Pacific B-511 is a brand new Vacation Rental that Knutson & Associates Property Management is proud to represent as a new addition in August 2017! 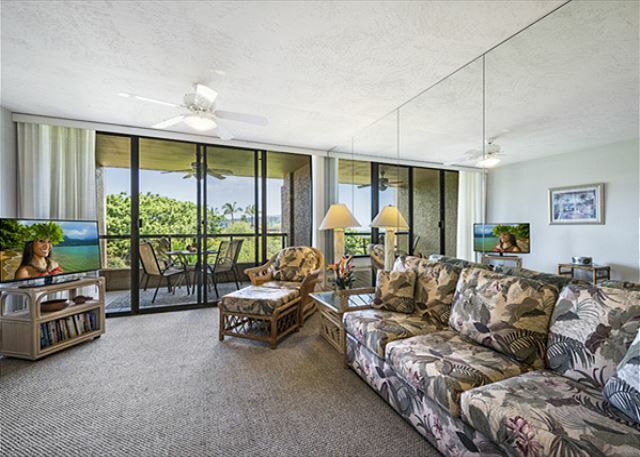 There are magnificent ocean views from the Main Lanai & Bedroom Lanai for your viewing pleasure. B-511 has approximately 879 square feet. 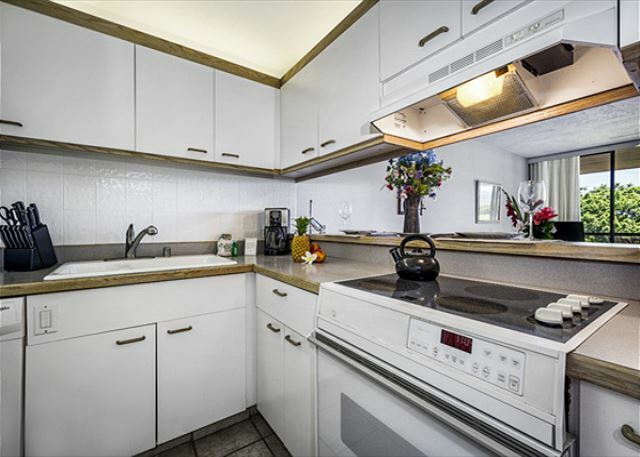 It's fully equipped kitchen allows you to make meals & dine either in your living room or your Lanais! The owner has equipped anything you might need for your Vacation. 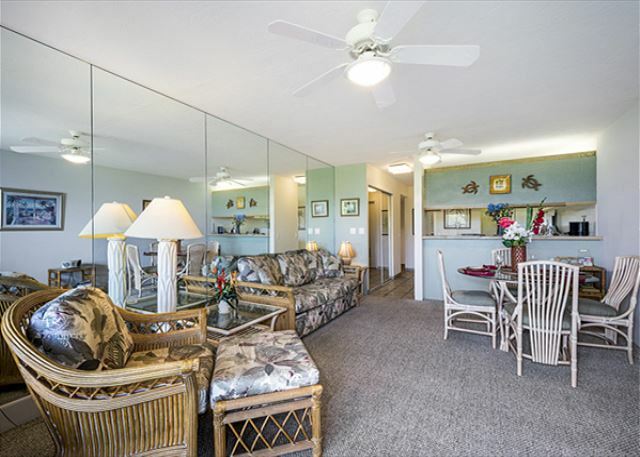 Wifi, Beach chairs & towels, TV's in both the bedroom & Living area. AC Units in all rooms to help cool off with Hawaii's heat!! 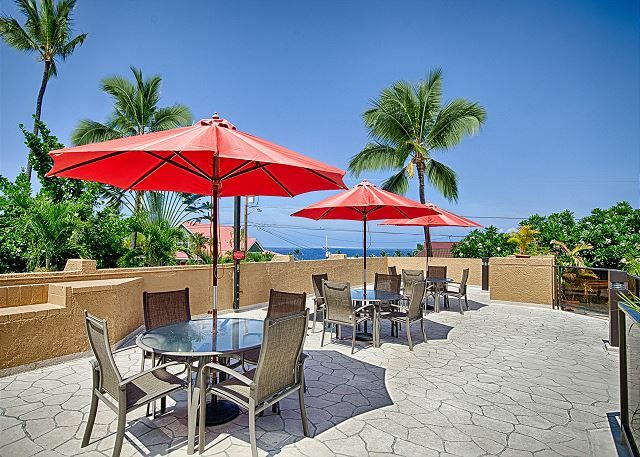 For an additional $10.00 per night, you can have full access to the Air Conditioning System. All guests need to provide us with written request that they would like the AC costs added to their bill. 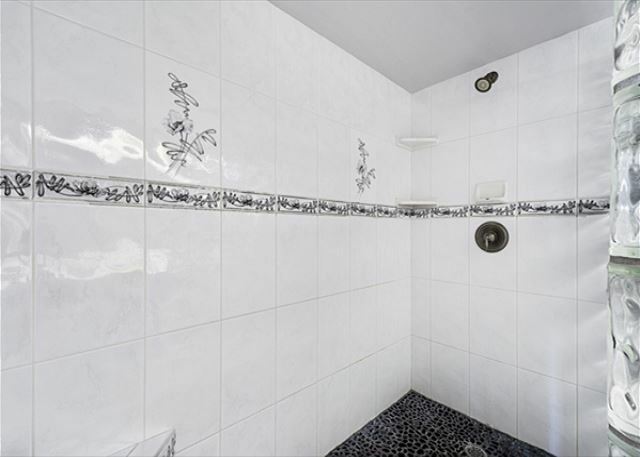 This properties unique living space has 2 full bathrooms! The common area bathroom has a tub/shower combo. 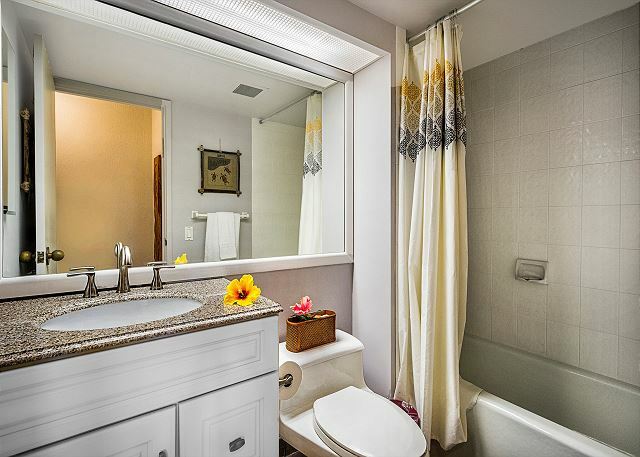 The Master Bedroom's bathroom has a walk in shower! An excellent option for 4, as there is a King sized bed in the master, & a pullout sofa to sleep 2 in the living room! 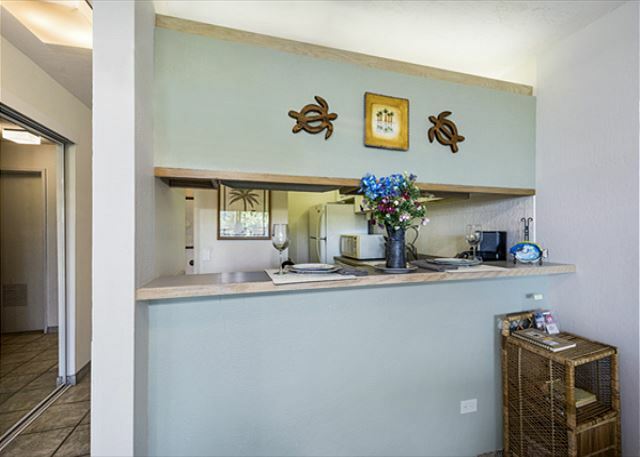 The owners of Unit#B-511 want to provide the best service possible for their guests. Knutson & Associates will offer guests who book Unit#B-511 the following additional services as a benefit, to you, the guest! 4. Face to Face Arrival/Departure Experience Offered Complimentary! 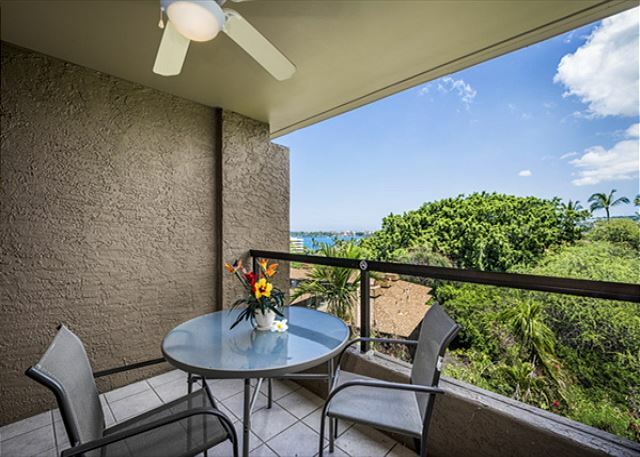 All guests who book Kona Pacific B511 have the option of meeting Property Management Staff upon their arrival to go over property specifics. We will turn on any fans/lights and ensure you enter into a comfortable inviting environment! *If link does not show, inquire within to have it sent you directly. This was the first time using a rental company to rent a condo. Everything was great in place and easy to access. I will be using this company again very helpful. My wife called ahead of time to ask questions and they answered them in a timely manner. Mahalo for the kind words, Roland! We're happy you enjoyed your time at Kona Pacific B511. Beautiful. Great location. Excellent parking. I arrived and the condo was clean and well appointed. A complimentary bag of coffee left on the counter. When the coffee grinder didn't work, the management quickly replaced it with a brand new one...I like to grind my own beans. The bed was very comfortable and I loved sitting on 1 of the 2 lanais to drink my morning coffee and enjoy the local fruit for breakfast. The only thing missing was an exhaust fan in the bathroom. Otherwise a very enjoyable stay. 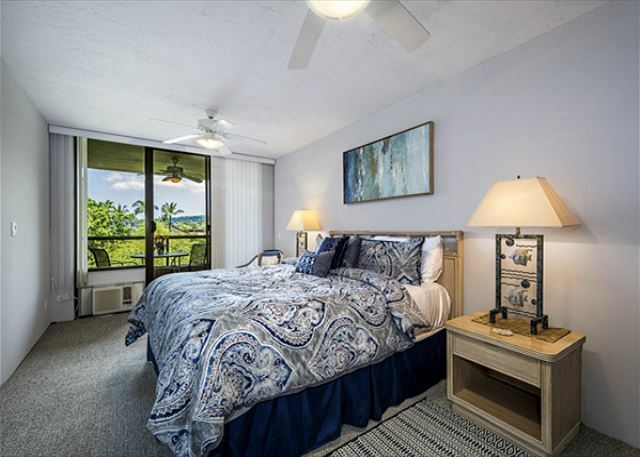 My husband and I planned to surprise our granddaughter with a trip to Kona for her 10th birthday, and we found Kona Pacific unit B511. Based on the reviews, pictures, views and good A/C we thought we would give it a shot. We were not disappointed! The place was clean, and the owner has taken great care in decorating with pictures, knick-knacks, etc. to bring in the feel of Hawaii and the spirit of Kona. The owners ask that you turn off the a/c when you leave for the day. We were concerned that it would take too long for it to cool off, but it cooled off quickly. To address some of the complaints in the reviews; We found the bed to be very comfortable, and we slept well. We did find that the toilet in the main bathroom was difficult to flush, however my husband adjusted the “flapper” chain in the tank, and it works just fine. It is true that there are large concrete posts in the parking garage to be aware of. We had a “standard SUV” (Full Size won’t fit the height requirement), but we found it to be much easier to pull in towards the wall, then back in to #72. Once you back in past the post on the passenger side, you have plenty of room to open doors and there’s plenty of room behind the vehicle to get things out of the back, or trunk. The condo and kitchen was stocked very well with everything you need; and with plenty of beach toys, mats, towels (however we had our own), chairs, boogie-boards, etc. We only had to replace a few things that ran out…typical things like TP, paper towels, trash bags, baggies, dryer sheets, and some pantry items that we left behind for future renters, etc. Some things need to be updated at some point, but the owner has already begun to do that. The shower in the master bathroom is amazing! You could throw a party in there! This place has it all; clean, comfortable, beautiful views, pool, BBQ’s, good A/C and everything is within walking distance of downtown. We highly recommend this unit and plan to rent it again. Aloha! My stay at Kona Pacific was perfect. 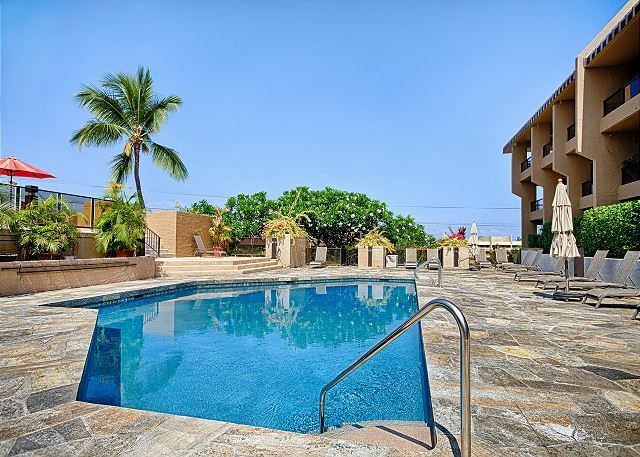 Condo is in a great location and easy walking to restaurants and shops. The condo was beautiful and located in a spot that made walking around town a breeze. We had so much fun and kona is a great little town. When we come back, which we plan to, the kona b511 is where we will stay!!! This was our honeymoon trip. 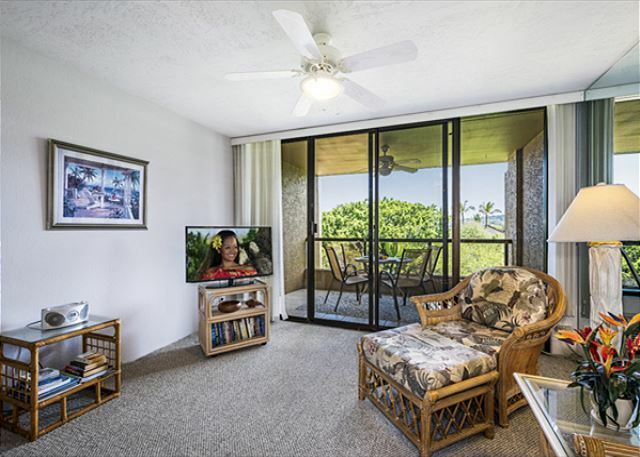 We liked the location of this unit as it was just a few minutes walk from the main strip of Kona. We walked to breakfast, dinner, and many of our other attractions, but it was just far enough away from the main area that we didn't have a lot of the other car and foot traffic. The unit itself was clean and had a good layout. The couch and bed both comfortable. The view off the lanai was as pictured; rooftops of adjacent properties and a small greenbelt. Some very basic cooking supplies in the pantry (salt/pepper, seasoning, sugar) but nothing else. A few ice packs in the freezer, and some beach-day supplies in the closet. Pretty much everything else you need to bring or buy. There are fabric shopping bags in the closet; no plastic bags in grocery stores. The maintenance guy showed up at the door one day, saying he had a work order to glue back one of the toe-board trim tiles. Review the actual document you get emailed for check-in instructions, like parking stall number, and there's a form at the office door for late arrivals. The app they recommend is near useless; cluttered, poorly organized, and is supposed to have the same info in the document you get, but it doesn't.